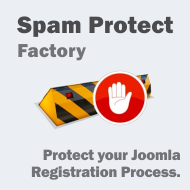 Spam Protection Factory reads the login form before it is submitted to Joomla! and takes appropriate action based on its configuration. It can reject a registration altogether, allowing the user to register but blocking his account immediately, or it can allow the user to register normally. Spam Protect Factory 1.2.1 released on April 2, 2019. Spam Protect Factory 1.2.0 released on September 4, 2018. New feature: option for partial keywords filtering. Fixed issues regarding filter on email address, date on dashboard. Spam Protect Factory 1.1.0 released on March 15, 2017. Click to see the complete list of track changes (including all released versions). 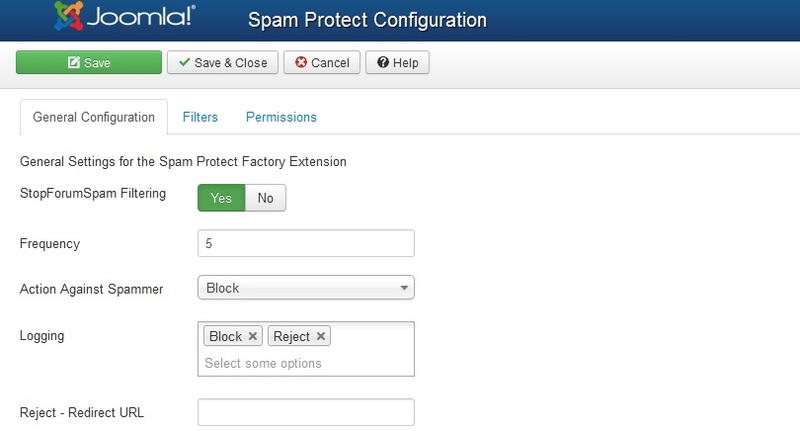 Spam Protect Factory 1.0.0 released on September 16, 2013. 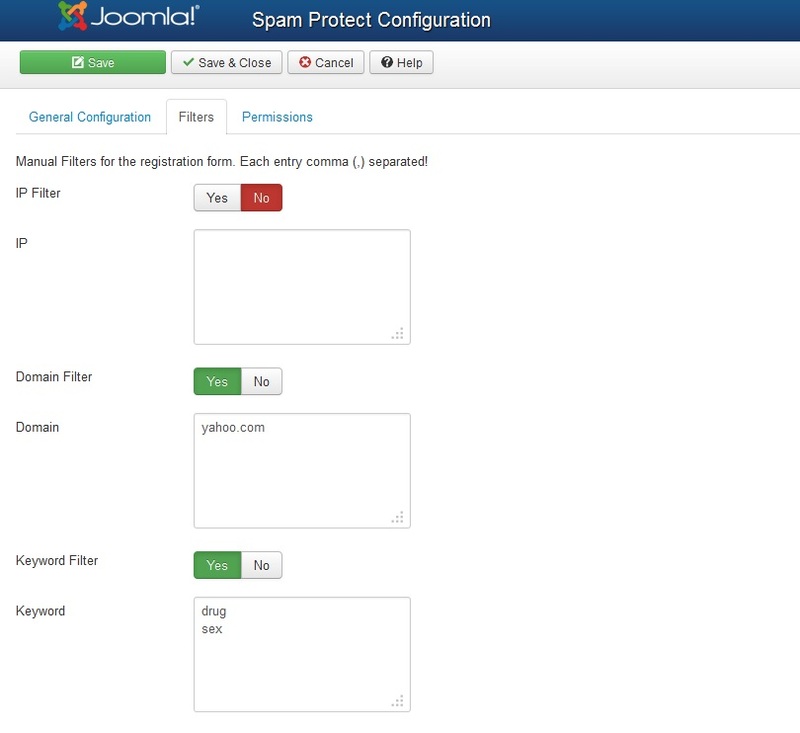 Screenshots are representing version 1.0.0 of Spam Protect Factory. If you have any specific questions don't hesitate to contact us. For any product information please use the available form on the Contact Us page.